good luck with that....Try your local craigslist. That would be your best bet for cheap. Of course they are going to be used, but for your price range thats about all you'll be able to afford. You can also browse around a few different forums for used wheels, but still shippingin is expensive and most folks aren't selling $300 wheels unless they are oem. Can I ask why you need "sick and cheap rims"? Honestly if you're broke like the rest of us, consider painting your stockies and savin some coin. You should put these on, then you'll be real baller. I am so f king sick of these threads. Just because it bears repeating!!!!!!!!!! 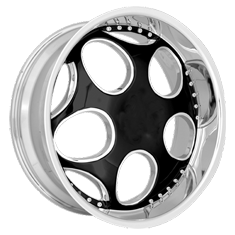 .... these are the best rims in the world and will make your car the bestest in the world! Dat shud dew et, no wut eye mean? craigslist. but don't expect tires to come w/ them. and if they do, run. you don't want those rims. Mods for your vehicle are the only thing in life I say don't cheap out on. Its the only thing where you really get what you pay for. Sure there are lucky deals, but just be aware of what your buying before you drop the cash on it. Sigh. So you only need one rim? 400 bucks for some sick looking rims? Well, the ones brash posted make me sick... so maybe you should get some of those? Get outta here with stupid questions like that please. Last edited by shatterbox; 02-16-2010 at 09:05 PM. lol @ the second rim that was posted, the star with metal hanging off the side. baller status. come on guys, he should go all out gangsta and roll a set of these.